We call these orchids “jewels,” because their brilliant jewel tones add a precious allure to these exotic tropical flowers. 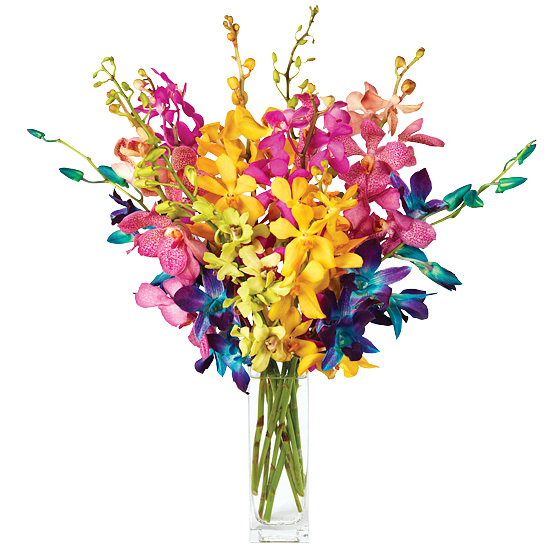 It’s a perfect bouquet for Easter, Mother’s Day, or any occasion that calls for luxury, elegance, and drama. 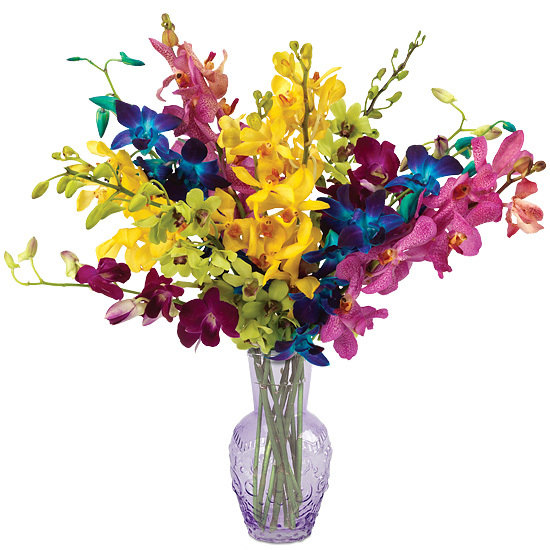 Dendrobiums in stunning shades of deep purple and color-enhanced blue complement yellow, pink, and purple mokaras. 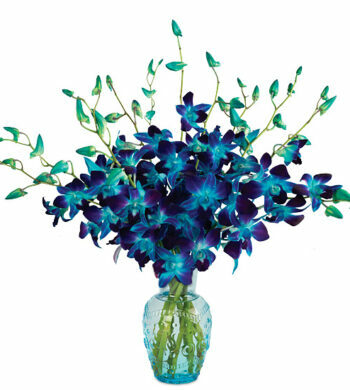 To enhance these long-lasting sprays, add our petite amethyst flourish vase.